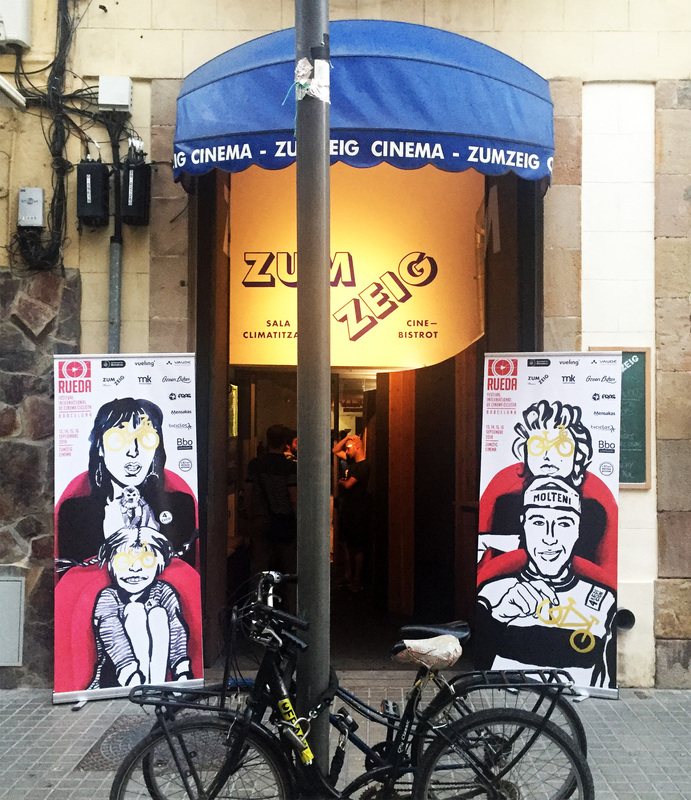 This summer I was in charge of the Art Direction for the fourth edition of Rueda, Festival de Cinema Ciclista. 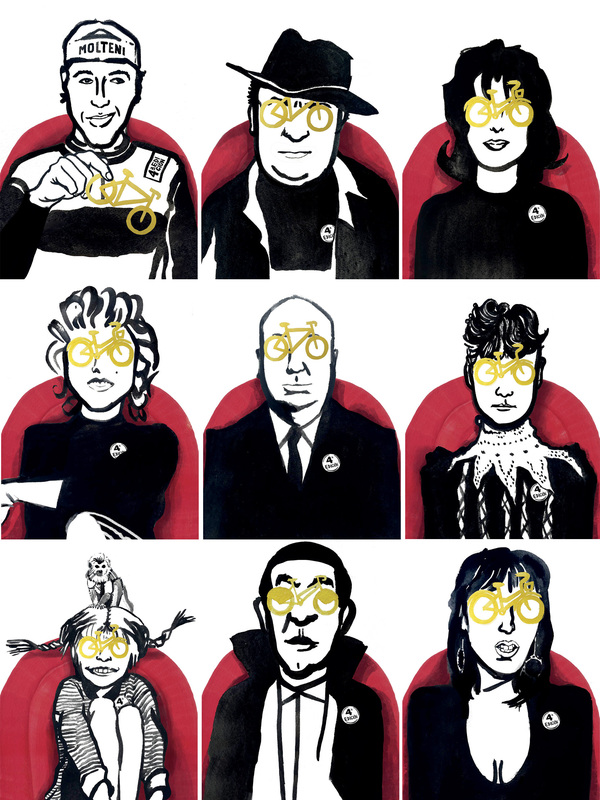 From the original concept and execution of the art for the poster to all the communication based on it, I decided to work around a serie of characters representing the union of the cinema and the bike world – see how many you can recognize. 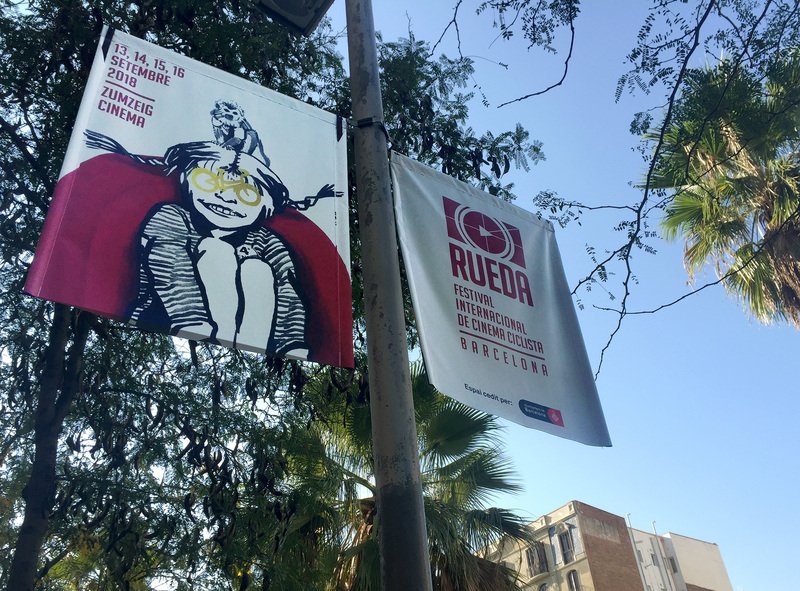 From there the graphics where applied into digital (animated intro before the screenings, banners, social media) and print assets (poster, streetlight banners, program, roll ups, flyers).